The game in shooting is accuracy — using a well tuned rifle and keen wind-doping skills to wipe out a tiny dot at the center of five targets. 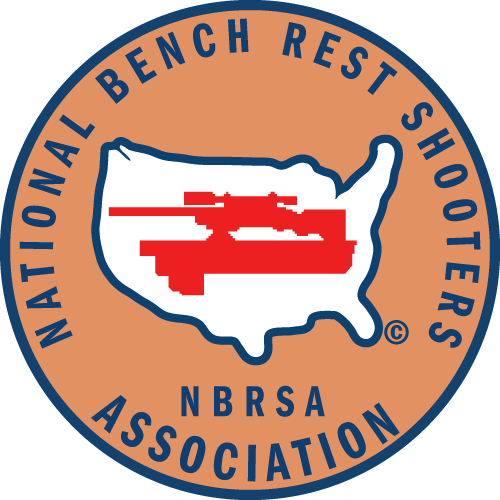 The NBRSA recognizes two classes of score shooting. The original Hunter class was specified to encourage hunting rifles and a larger cartridge with a maximum weight of 10 pounds including the scope not greater the 6x. The width of the forestock is more restricted than the Group class rifles. The Varmint for Score (VFS) class allows any rifle legal up to 13.5 pound Heavy Varmint group category. The target consists of five record bulls plus a sighter bull. The shooter is allowed as many shots as desired on the sighter and shoots one shot on each record bull. The center dot is considered the “X” with the 10 ring being the first ring around the dot. Best edge scoring is used with a perfect or “clean” target being a 50-5x. The shooter is allowed 7 minutes to complete a target. The course of fire is 5 targets at each of 100 and 200 yards to make up an aggregate. Because of the additional restrictions of the Hunter class and the best-edge scoring that lends a slight advantage to the larger calibers, the typical score rifle is usually some flavor 30 caliber, with various wildcats based on the .308 Winchester being very common.